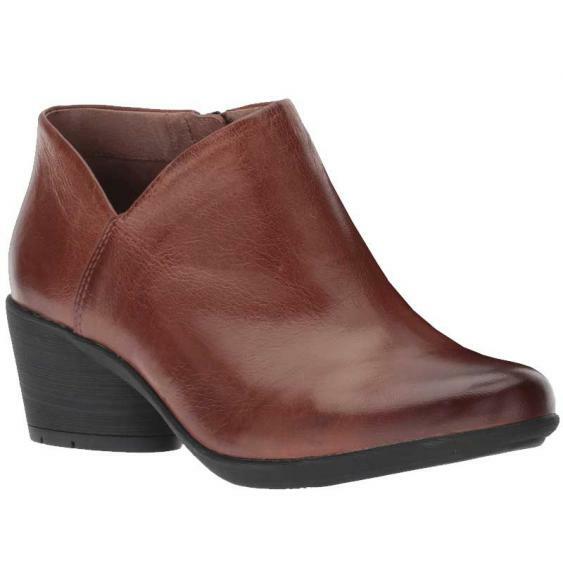 For the perfect combo of comfort and style reach for the Dansko Raina booties. This women’s boot features a rich full grain leather upper with a uniquely cut topline that offers visual interest. An interior zipper gives on/off ease and inside, the Raina has leather and textile linings. The uppers are treated with 3M Scotchgard™ protector for stain resistance while the removable EVA footbed with Dansko Natural Arch™ technology and memory foam gives you cushioning and support. A durable rubber outsole provides you with stability even with a 2” heel. There is no need to settle for just comfort or just style when you can have them both in the Dansko Raina.